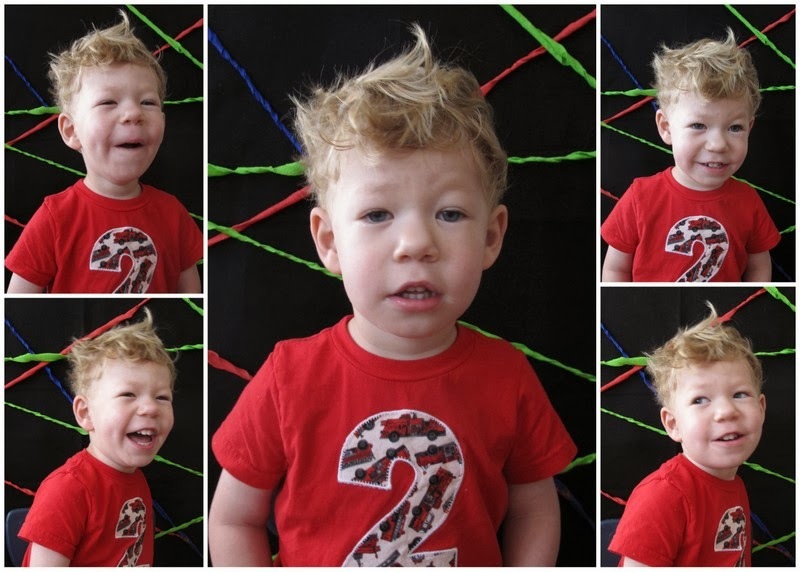 Max turns 4 in a couple weeks, so I've been going through some old photos to put together his video and yearbook. I came across these pictures I took of Max and they made me laugh so hard. I had the pleasure of watching the sweetest little boy when Max was 2. It worked out great for everyone and Max definitely made a friend for life. When our time together was coming to an end I thought it would be fun to have a "school year" celebration, including some yearbook pictures. So, obviously, we had to choose the laser light photo package offered back in the day. I used black felt and twisted some streamers I had on hand. These are how Max's turned out. Ha! I remember he had just woken up from nap and was super sweaty and his hair was crazy. Great memories.